In the January 2011 issue of Perspectives on Psychological Science, Yale University psychological scientists Alan Kazdin and Stacey Blase have called for drastic changes to the approach for treating mental illness in the United States. Comments to this article were published in the September issue of Perspectives. APS asked our Twitter and Facebook followers to Tweet Kazdin questions about his research using the hashtag #AskKazdin. Responses to 20 questions are published below . Read about Kazdin’s research and watch a video from the 2010 APS Annual Convention here. 1. Is there really an established evidence base for what works in psychotherapy? Nathan, P.E., & Gorman, J.M. (Eds.). (2007). Treatments that work (3rd ed.). New York: Oxford University Press. Weisz, J.R., & Kazdin, A.E. (Eds.). (2010). Evidence-based psychotherapies for children and adolescents (2nd ed.). New York: Guilford Press. It is important too to keep the qualifiers in mind. Most of the treatments used in clinical practice have not been evaluated in research. Also, many of the treatments that have been well established are not being used. Yet, the main conclusion is important. Many treatments for children, adolescents, and adults have been shown to be effective. The challenge for the consumer is obtaining them; the challenges for the profession are to ensure that those who deliver services are well trained in these treatments and to devise novel ways of delivering treatments so they can reach people. 2. Can people without advanced degrees really deliver effective therapy? Yes, people without advanced can administer treatment effectively and they already do. In addition, there are evidence based treatments that individuals can self-administer. These treatments (administered by individuals without advanced degrees) or self-administered are not sufficiently publicized and made available, but they are viable possibilities. As you suggest, mental illness is a broad category with many types of dysfunctions, in many combinations, and with many levels of severity. We can have impact by breaking this down and targeting specific disorders in the population. Analogously, in medicine if we tried to eradicate all diseases, the task might be too large to address. So we focus on specific disorders, try to understand their development and mechanisms, and develop treatment. So too with psychiatric disorders and the diverse sources of social, emotional, behavioral, and developmental problems. 4. You mentioned potential benefits partnering w/other disciplines such as mathematics & technology. Other disciplines? The range of disciplines is difficult to specify perhaps because of my own knowledge and limitations. The question is: we need to develop treatments that can reach large swaths of people in need—we are not doing that very well now. Once we have those treatments, many disciplines and professions (e.g., business, public heath, the media, religion, law and social and social policy and Holly- and Bolly-wood) might contribute. We ought to commit to the goal, namely, reducing the burden of mental illness and reaching many more people in need and invite all to join who can contribute with theory, evidence, or viable strategies to diffuse and scale up our interventions. 5. What advice would you give to a person looking to determine which self-help books are most beneficial to them? Search for “evidence-based self-help treatments.” Also, here is a good resource to start: Harwood, T.M., & L’Abate, L. (2010). Self-help in mental health: A critical review. New York: Springer. 6. If internet counseling…how do you develop an authentic & effective therapeutic relationship despite never meeting face to face? First decide what you wish as the goals of therapy. It might well be that a person wishes to have an in-person relationship. If the goal is to ameliorate a clinical problem (e.g., anxiety, depression ), there is not compelling evidence that an authentic and effective therapeutic relation is essential. Some effective treatments do not require a therapist! In selecting an intervention it is important to attend to the goals and whether there is evidence that the treatments you are considering can reasonably be expected to achieve them. Also, it is important to be satisfied with the means. If in-person therapy is absolutely essential for your tastes, style, interest, and so on, by all means. I only note that a therapeutic relationship, based on evidence, is not essential or even a part of all forms of psychological treatment. 7. Since your APS Convention addresses, have you received any further support to accomplish any of your recommendations? Many people have written to express interest in the goals. Among the difficulties, there are many structures in place (requirements for licensing, requirements for training in graduate school, requirements to get treatment reimbursed, and many more) that make change in models of delivery difficult. There is progress in novel treatment delivery models. Some of this is driven by technology. As tablets, smart phones, and apps become even more sophisticated, no doubt they will contribute more to the overall goal of reaching more people in need than individual in person therapy can accomplish. 8. You talk about the need for interventions for all age groups. How do you adapt them for a particular age group? There is no standard grouping that conveys which treatment must be altered when. At the margins this is not so; treatment of young children might be very different from treatment of middle age adults, of course. Important research questions are what treatments need to be altered as a function of age, ethnic/cultural group, and other such moderators. We know already that not all treatments have to be altered to retain their effectiveness (e.g., for ethnic groups). We need research and researchers to address exactly these questions. 9. Do you feel that group sessions/chats via webcam to reach clients would be beneficial? The question is an important empirical question, namely, what impact would webcam interventions have for various psychological/psychiatric problems? This question and its subsidiary questions (e.g., are there individuals with some characteristics who respond especially to this format, what is the scale in any webcam session—e.g., webinar that could be used effectively, and so on) are very important and get to the heart of the issue of developing interventions for large swaths of people in need. 10. How do you feel about having an app for iPhones that would notify clinicians about how patients are feeling? Apps can be very useful for assessing individual functioning and for providing interventions. A remarkable intervention based on texting (Lester et al., 2010, The Lancet) was shown to treat HIV in areas of Kenya, Africa was a great example of reaching people. Apps can now assess some biological processes and even provide biofeedback.. Notifying clinicians or services might be very useful. What the notification is might vary with the clinical problem and goals. Notifying about feelings, thoughts, behaviors, urges, and so on—all possible. .
11. How could you track/monitor mental illness via database? Do you see any challenges with that strategy? A few models were discussed in the Kazdin & Blase paper. Some examples already are in place to monitor mental health changes over time. One example is the National Comorbidity Study, which samples the mental health status of thousands of adults and youths, provides data on incidence and prevalence, and encompasses several countries in conjunction with the World Health Organization (www.hcp.med.harvard.edu/ncs/). Another example is the Monitoring the Future Study, which assesses behaviors, attitudes, and values of school students (http://monitoringthefuture.org/). The project began in 1975 and has provided data on drug, alcohol, and cigarette use nationwide and involves approximately 50,000 students (8th, 10th, & 12th grade) annually. Finally, the Institute for Health Metrics and Evaluation (University of Washington) focuses specifically on evaluating data on health indicators including prevalence of major diseases and effectiveness of health programs (Murray & Frenk, 2008). This can be done and done on scale. There are challenges as you cogently suggest. Financing that is one, using the data for decision making is another, and making an effort to reach those in need but who continue to be neglected, all raise significant challenges. 12. What caught your interest/attention about mental illnesses early in your career as a psychologist? Several years ago, I worked in a medical school as a professor of child psychiatry. I was placed in charge of a children’s inpatient unit (Children’s Psychiatric Intensive Care Service, Western Psychiatric Institute and Clinic, University of Pittsburgh School of Medicine). Very severely disturbed children (ages 5-12) were admitted, often for severe conduct problems, depression, and suicidal ideation and attempt. We began studying these with the idea of understanding key processes better but also providing interventions that could effect change. 13. If technology does take hold, how do you think insurance coverage might dictate who can/ cannot receive treatment? Treatments that reach more people in need might pre-empt more expensive individual treatments, might reduce costs of physical health care and emergency room visits, and might keep more people working (and less lost days). In brief, evidence-based interventions that could reach more people in need have the potential for cost savings in many domains. Insurance companies might well want to attend to that and reimburse treatments that are much less expensive to deliver than individual, one-on-one treatments and still effective. 14. If there are so many ways of delivering treatment, why is it so hard for people that need it to receive it? There are many barriers to treatment—where to begin? Among the main ones is that most people who provide services are heavily concentrated in cities and not in the places where treatment is needed (e.g., small towns, rural areas); another is that many populations in need (e.g., elderly, children) are not prominent among the interests of those who provide services. Insurance coverage, ethnic mismatch of facilities and clients in need, and so on all are part of the barrier constellation. 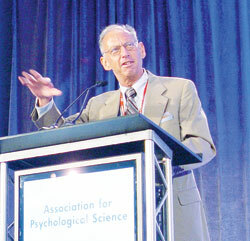 All that said, a key barrier is one we as psychologists control, to wit, the model of providing services. If that model is one-to-one, individual, in person psychotherapy, we will not be able to reach most people in need. We need many models of delivery that are characterized by being able to get to the people in need. That would go very far in reducing one large barrier. 15. Do therapists you know believe that expanding their media outlets interfere with patients’ progress or encourage it? I do not have knowledge of what therapists currently believe about the important question you ask. The nice feature is that our beliefs can serve as a basis for doing the research to find out what does and does not interfere with progress. We know already that patients can profit enormously from media-based (e.g., web, internet, smartphone) treatment. As a mode of delivering treatment there are many examples that this can be done effectively. Some models of treatment might well expect that a given focus or feature of treatment interferes with progress. We know also that approximately 7 of 10 individuals in need of treatment are not receiving any. How can we better attend to the progress we want them to make? 16. If self-help is promoted as a mode of intervention for mental illness, won’t it become another fad like before? The danger of something becoming a fad is a wise warning. Here is the issue from my perspective. Some self-help treatments have impressive evidence on their behalf. They can, for example, effectively treat many forms of anxiety, depression, and trauma. Our task is to identify these (not difficult) and to get these to prospective patients and to the millions in need of services who receive nothing. There is no one answer but there are piles of little answers that could make a difference. 17. Would there be a case for saying businesses should not invest in individual coaching if individual therapy doesn’t work? Individual therapy has a great deal of evidence on its behalf and many therapies now have an empirical basis. To me, the evidence is compelling for many treatments that are administered individually and one-to-one. There is a qualifier: most treatment used in practice and the vast majority of available treatments have not been studied empirically. Yet my main point and concern lies elsewhere. Individual therapy, as valuable as it is, is not likely to be able to reach most people in need of services. If most people in need cannot obtain the service, new options ought to be considered. The option Stacey Blase and I advance is to shift the focus from individual therapy to interventions that have a much better reach. There is a serious mental health social problem—many need the benefit of psychological treatment and are definitely excluded if we retain individual therapy as the dominant model of delivery. 18. You mentioned that a quarter of Americans have a psychiatric disorder? Just curious about the source of that data? Kessler, R.C., & Wang, P.S. (2008). The descriptive epidemiology of commonly occurring mental disorders in the United States. Annual Review of Public Health, 29, 115-129. Kessler, R.C., Demler, O., Frank, R.G., Olfson, M., Pincus, H.A., Walters, E.E., Wang, P.S., Wells, K.B., & Zaslavsky, A.M. (2005). Prevalence and treatment of mental disorders, 1990 to 2003. New England Journal of Medicine, 352, 2515-2523. 19. With the technology growing will there be an increase in the help given? Excellent question. With technology growing I see an increase in the potential help that could be given. 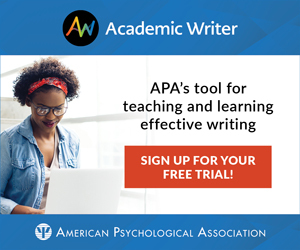 My worry is that this will not actually materialize unless graduate training programs introduce novel treatments and are allowed for accreditation and if internship experiences, required of Ph.D. level clinical psychologists, allow technology interventions as part of their care, and if licensing requirements are more flexible to allow more current interventions—any one of these raises enormous obstacles. An alternative, involves more non-advanced degree individuals to administer treatments that could reach people. This might be the first line of intervention, saving a more intensive focus only when clearly needed. This alternative has huge obstacles at professional and state levels. The frustration is that techniques are available right now that could help many more people but we do not have an infrastructure and perhaps a clear will to deliver them. 20. Is this issue different from health-care in general? Or should it be treated with the same attention? Physical health care is profiting too from novel models of delivery. Home testing (e.g., pregnancy, diabetes) and shopping mall testing (e.g., blood pressure, cholesterol) and care (with hospital back-up) are examples. Phone and tablet applications are changing health care (e.g., assessment and feedback on biological processes) and maybe medicine can help pioneer some critical paths that will move us more quickly. I think the questions are good ones, & I think the replies–based on what I know as a counseling psychologist–are excellent.